This Avondale home, built in 1969, received a much needed and welcomed home remodel 46 years after it was built! The dark grey tones that are utilized throughout the home, are very well offset with bursts of color! 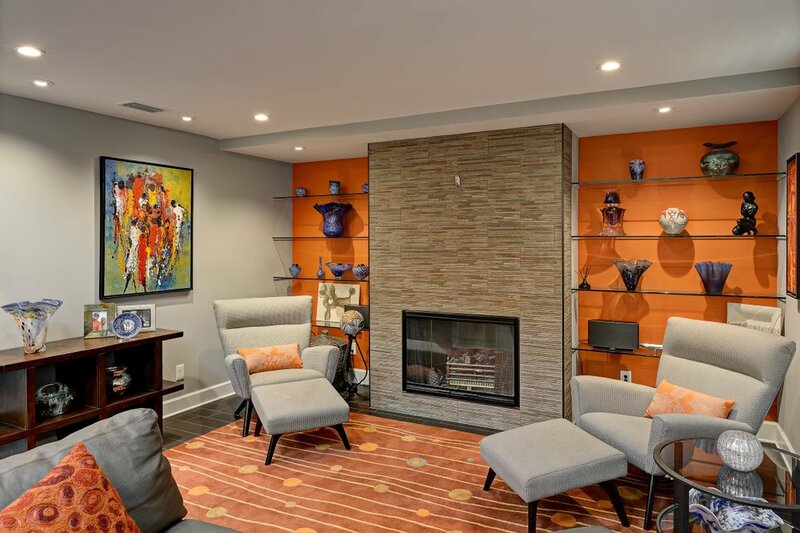 The orange accent wall flanking the fireplace on each side, echoes the bright color that is used throughout the home. The kitchen shows off with a beautiful island that is large enough to be used as a breakfast bar and cooking space at the same time. 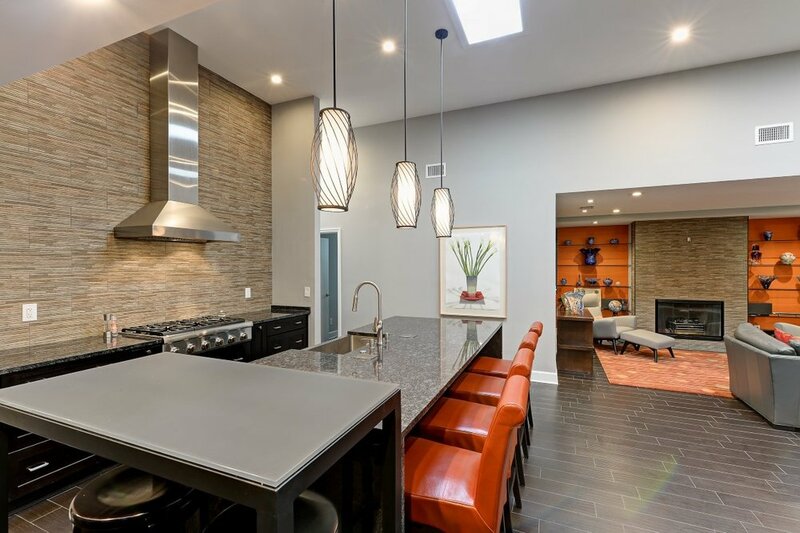 The tile wall that sits opposite the kitchen island adds to the already breathtaking kitchen.